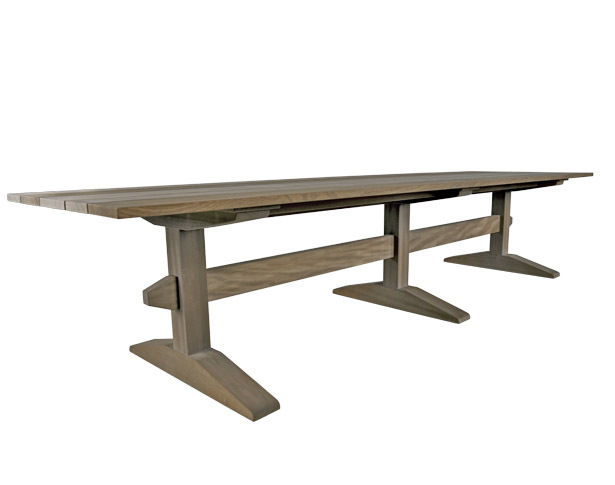 Features: Custom plank top table features trestle style base in seasoned wood. Also available in Weatherend yacht finish. Please call for details.